Let me introduce you to my new love. He happens to be a glittering griffin pony. A knit toy! 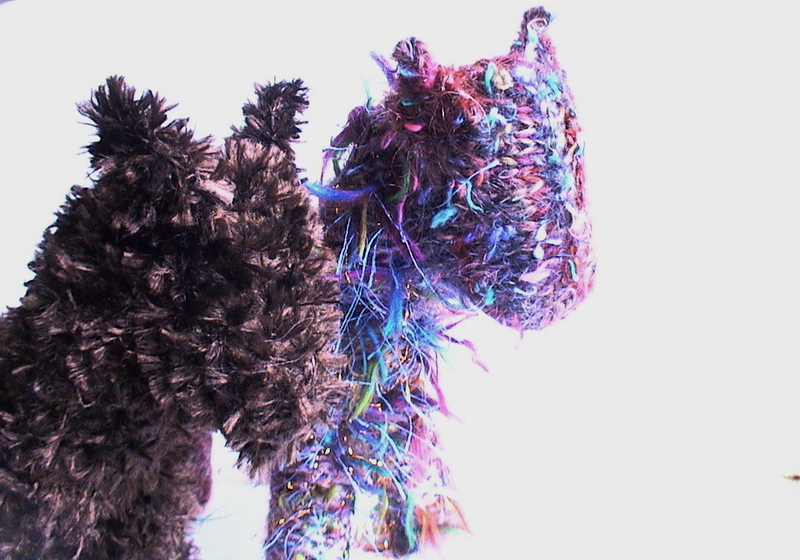 Albeit mohair and knitted on ebony knitting needles and complete with a glittering boa garland around his forelegs and neck and a multi-colored head – but still, a knit pony. Griffin pony I should say. 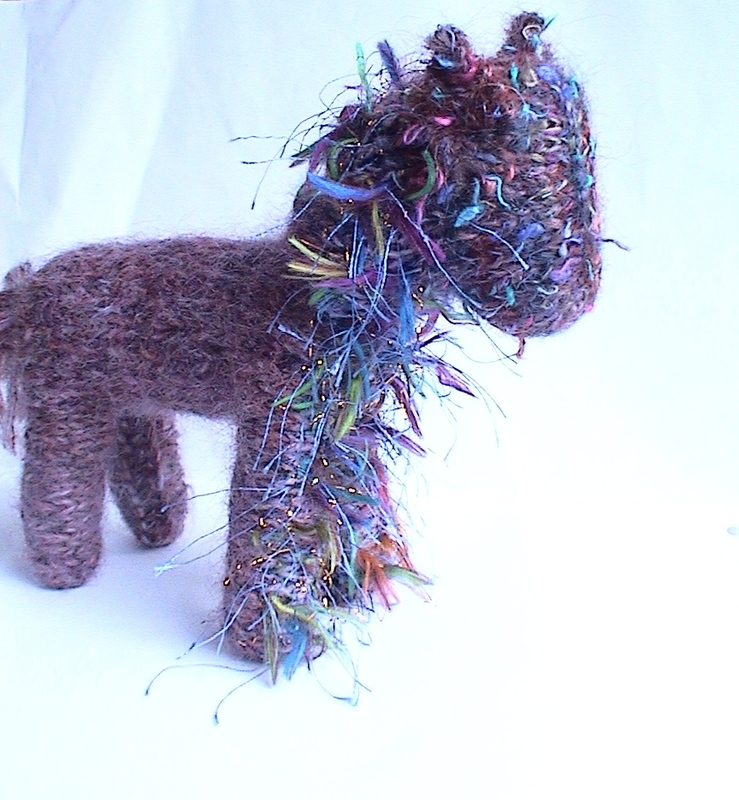 I knitted him over a month ago and he sat in honored position in our living room without tail or ears and wool stuffing poking out his back end as I contemplated his beauty just as he was; unfinished, full of possibility and all kinds of potential (an arrow tail? wings? huge dragon wings? big or small ears? plaited tail? no ears?). So at last yesterday he came to his fixed state of loose, generous tail, smallish ears and no wings. I love him! 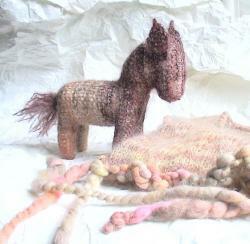 How wonderful the world is that something as simple as a knitted toy can become an object of absolute joy. That it can give such a sense of accomplishment. I guess this is why we all make things – we are creating something unique, and loving it. A tiny contribution to life that is sweet and lovely. I’m now making handknitted vests, tank tops, tunics, over vests, pullovers, wrist warmers, cowls, shrugs and tabards for children in my new Etsy shop “vestments”. Each one is a free form One Of A Kind (OOAK), never to be repeated, impossible to copy, utterly unique! You can see them here. This lovely tangent began thanks to my darling friend freedomRainbow on Etsy when we traded one of her freedomLotusNaturals wool visors for this top custom (pic above) created for her daughter in kid mohair and handspun pure wool trim (plus a little kid mohair pony as a gift).